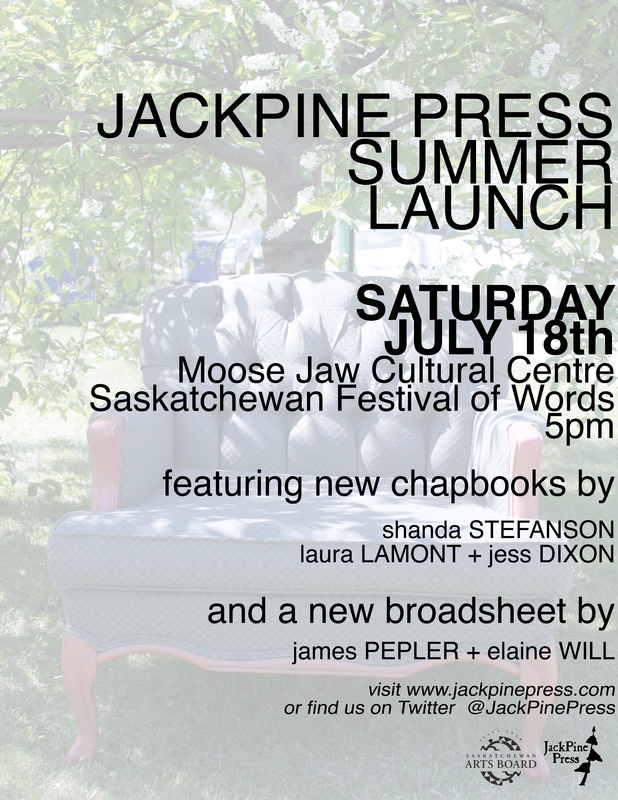 We’re proud to be launching two new chapbooks on Saturday July 18: Shanda Stefanson’s Picking Apart the Stitches, and Laura Lamont and Jess Dixon’s Lost + Found. We’re also celebrating the release of our first official poetry broadsheet: James Pepler’s Red, Gas, Amber and Green. Readings start at the Moose Jaw Cultural Centre at 5pm.